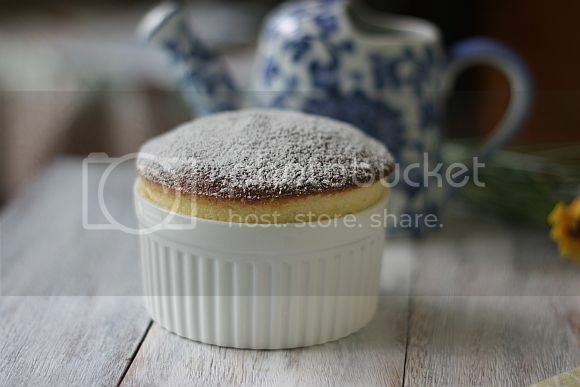 I have now been baking for over 5 years now and I can't believe that I have never made a souffle before in my life plus eaten it only once in my entire life. Amazingly it is such a simple recipe, typically made up for three to four ingredients only. So when I had leftover passionfruit I was very tempted to use it in a dessert. However I knew I would be busy over the next few weekends and decided to scrap the pulp out and freeze it. So when it came time to actually put the souffle together, I was really excited. 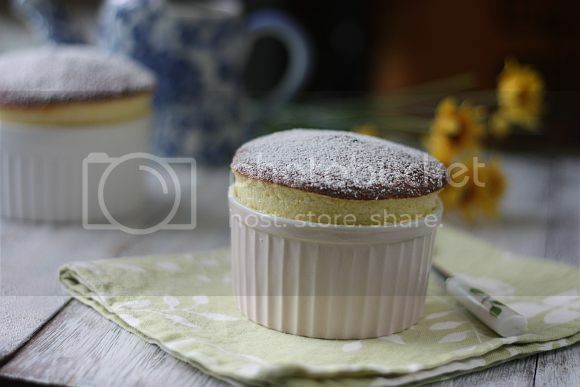 I knew souffles have a tendency to deflate very quickly and as such I set up my camera and props to be ready to snap away when the ramikins were taken out of the fridge. Luckily I was able to take my shots before they deflated out on me. 2) Brush four 250ml (1-cup) ovenproof ramikins with butter. Sprinkle with the sugar, shaking off any excess. 3) Use an electric beater to beat egg whites in a large clean dry bowl until soft peaks form. Add extra sugar a spoonful at a time, whisking after each addition until well combined. Continue whisking until sugar dissolves. 4) Use large metal spoon to fold passionfruit into egg whites. Spoon in dishes. Use flat knife to smooth tops and place dishes on baking tray. Run a thumb around inside rim of dishes in souffle mixture. Bake in preheated oven for 12 minutes or until golden. Dust with icing sugar and serve immediately. Oh wow, lovely shots Jo! 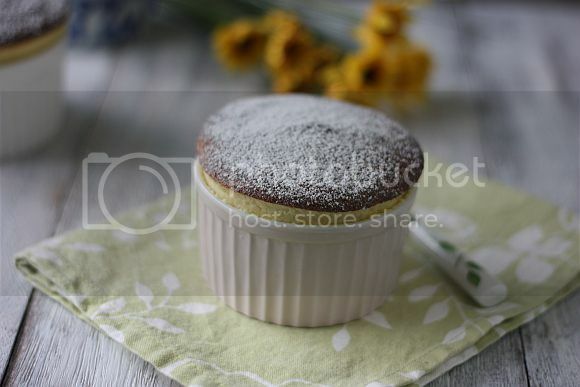 And the souffle turned out so lovely too! Envy! 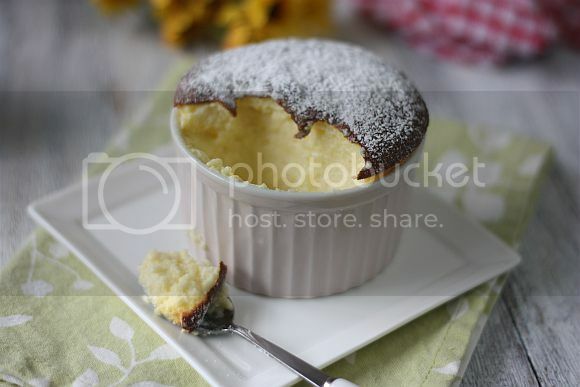 You know what, I've never baked a souffle too, haha! Anyway, you were indeed quick! I think I'm worse, LOL. I've never eaten one before. I told myself after I got this new oven (my old oven was a microwave convection), I must make souffle, but it' been almost a year and I haven't tried making. delicious! I am loving this recipe already! wow you perfected it in the first attempt. They are so pretty.